September 2012 - La Cava & Jacobson, P.A. 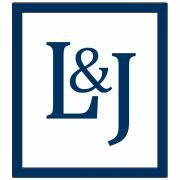 Lou La Cava has once again been selected to be included in Best Lawyers in America, 2014 Edition, in the practice area of Medical Malpractice Law-Defendants. Selection for Best Lawyers is based on confidential, exhaustive and rigorous peer-review evaluations by other attorneys. Lou La Cava and Jim Wetzel obtained a defense verdict in a jury trial held in Pinellas County. The Plaintiff alleged that the defendant, internal medicine physician, was negligent in diagnosing the patient with rheumatic fever. They also alleged negligence in treating the patient with high dose aspirin in light of the patient being anemic. Plaintiff argued the defendant then failed to diagnose an ongoing GI bleed which ultimately led to the death of the 27 year old patient. After a 5 day jury trial the defendant was found not negligent.